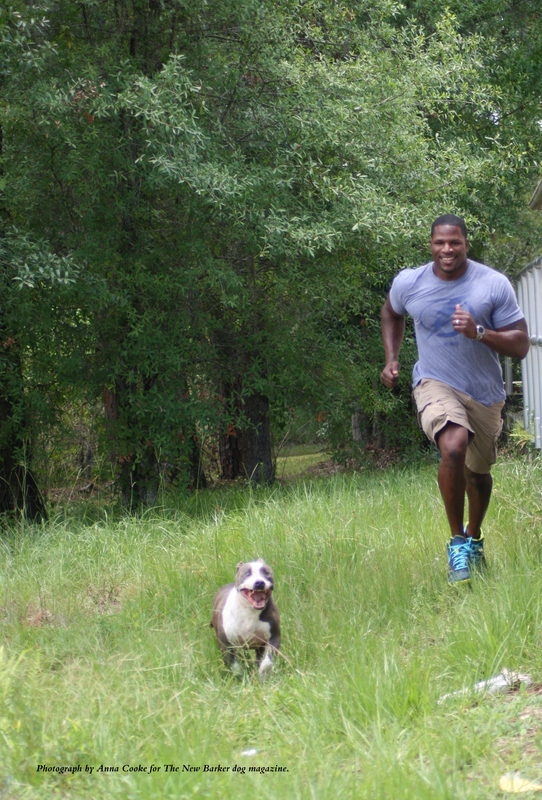 Kamerion Wimbley Tackles Life Head-On…On His Own Terms. Kamerion and Yogi take a break after a light workout in Tampa, recently, to sit down and talk with Anna Cooke, editor of The New Barker dog magazine. The average starting pay for a professional football player in the NFL is $1.9 million per year. 70% of NFL players are between the ages of 22 and 27. Players in that age bracket earn less than the NFL average overall. Most NFL players don’t make it to the age range when they can start making serious money. According to Business Insider, that age bracket, 28 to 35, earns an average of $4 million a year and up. After nine years with the NFL, 31-year-old Kamerion Wimbley was ready to walk away from it all to spend more quality time with his family. He’d had a successful college career at Florida State University as one of the nation’s top defensive ends. He was drafted 13th overall in the 2006 NFL Draft by the Cleveland Browns and led the team in sacks during his outstanding 2006-2007 rookie debut. In 2010, Kamerion was traded to the Oakland Raiders where he proceeded to take the Bay Area by storm, both on the field and off with his community involvement. Wimbley left a two-year contract worth more than $4 million in salary on the table. It turns out that Kamerion Wimbley’s business acumen off the field is just as precise and hard-hitting as his athleticism was on the field. Of the 10 successful business ventures he owns and/or is involved with, his favorite is Gold Label Kennels in Crawfordville, Florida. There, The American Bully breed he has always loved, is safely and responsibly bred. Gold Label Kennels also focuses on training, showing, rescuing and adopting The American Bully. He was already educating friends, family, colleagues and whoever would listen on the importance of responsible dog ownership when the news of Michael Vick and his Bad Newz Kennels dog fighting ring hit the media in 2007. Wimbley’s Cleveland Browns teammates, many of whom already had preconceived notions about the Bully breed even prior to the Vick incident, looked to him for answers. He took the opportunity to step up his efforts to inform the public and help dispel the stereotypical discrimination against bull breeds. As the media chose to focus on the negativity of the moment, Wimbley remained stealthily-focused on the positive. The survival of The American Bully breed depended upon it. Any dog can be conditioned by its handler to become vicious – whether it’s through training and neglect – or abuse, such as chaining and isolating the dog outdoors, with little to no human contact. Any breed of dog is a product of his or her own unique situation. Their birth, upbringing, and training will play a crucial role in determining the dog’s behavior. “Some people jump to conclusions without having all of the relevant facts about The Bully breed. The media plays a huge part in sensationalizing incidents with irresponsible dog owners and attempt to paint the entire breed with broad strokes instead of looking at individual dog owners,” said Wimbley. 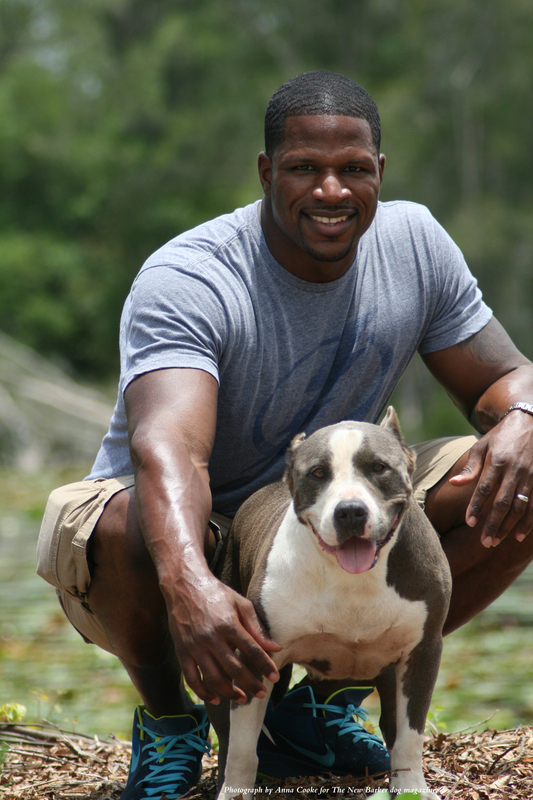 He is committed to continue educating the public about responsible dog ownership, with his primary focus naturally being on The American Bully breed. A “pet project” of his is the Bull Breed Coalition Registry (BBCR), where he is one of the founding members and a hands-on director. The registry will offer more innovative options for a broader population of people, including through the use of social media. “Social media is just now becoming big in the dog world. I am seeing a lot of information posted on Facebook, Instagram and even Pinterest. Through these new platforms, you can reach a whole bunch of people that have never even gone to a dog show, or owned a particular dog breed, but if they see a post on social media, it might pique their interest or they might become more inclined to attend a dog show. The messaging circulates a lot faster and you’re able to get a lot more viewers. It is one of our goals to use and maximize those channels that maybe the other registries aren’t using. We’re trying to be more innovative, getting more information out there about the breed that we serve,” said Wimbley. Initially, the focus of the BBCR was historical documentation of the Shortybull, a new line of Bulldogs being bred to be smaller in size. Unlike a lot of other Bully breeds bred down in size, the Shortybull does not contain Boston Terrier or Pug in its bloodlines. The Shortybull is bred for its working ability and physical traits, and not solely on looks. The BBCR recently expanded its focus to provide accurate documentation and show experiences for five additional Bull Breeds: The American Bully, American Pit Bull Terrier, English Bulldog, French Bulldog, American Bulldog and the Olde English Bulldogge. Bully Breed enthusiasts have begun to focus more on conformation shows, considered crucial to the development and wider acceptance of the breed. The BBCR focuses on breed standards as set forth by the founders of these breeds. It records pedigrees, issues policies for conformation dog shows and works to train judges who will uphold the honor of properly evaluating Bullys as show dogs. On Dogs And Yogi. Dogs depend on us for, at minimum, food and shelter. They deserve much more. “Before taking a dog into your life or adding another one, think seriously about the commitment that dog ownership entails and consider if you will be able to fulfill your obligations as a dog owner,” said Wimbley. Does your activity level align with that of the breed you are thinking about? Study the breeds to know which ones are the best for you and your lifestyle. Some dogs require a lot of exercise to be happy and healthy. If you’re not helping them burn that energy, they’re going to find ways to fulfill those needs and that may not be the most desirable option. Yogi sprints ahead of Kamerion. Kamerion, a Florida resident, hopes to be attending the annual fundraising event for the Miami Coalition Against Breed Specific Legislation in Hollywood, Florida on Sunday, November 8. “Regardless of where you live, BSL is a concern for all dog owners. We should take every measure to prevent it. Or in the case of Miami-Dade, where any Pit Bull-like dog has been banned for 26 years, have BSL overturned, once and for all. We should also hold owners accountable for their dog’s actions,” Kamerion told Anna Cooke, editor of The New Barker dog magazine. Are you a #FloridaDogLover? Please visit the Miami Coalition Against Breed Specific Legislation Facebook page, like them and let them know The New Barker, Florida’s top dog lifestyle magazine, sent you. Author Anna CookePosted on October 27, 2015 Categories UncategorizedTags #FloridaDogMagazine, Florida Dog Magazine, The New Barker, The New Barker dog magazine. Previous Previous post: Catch A Wave & You’re Sitting On Top Of The World. Next Next post: Lepto Who?